New Arrival: Fitbit Launches 3 Health & Fitness Wearables « Tech bytes for tea? 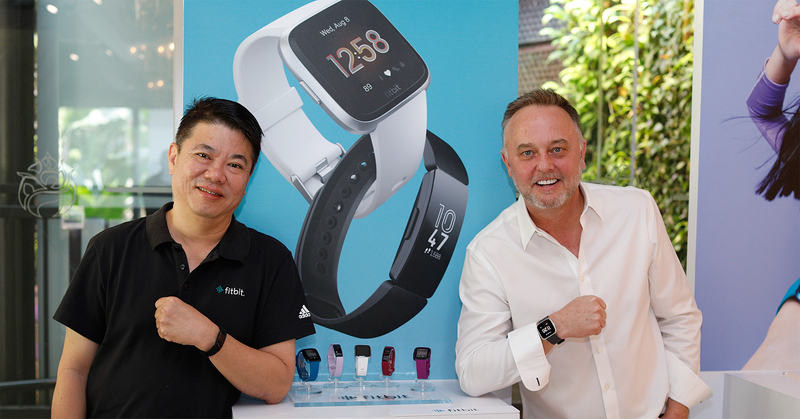 The Fitbit Inspire HR is the brand’s most affordable and stylish 24/7 heart rate tracking device at S$158. For consumers who are new to wearables and want an even lower-cost, easy-to-use tracker, Fitbit Inspire is available at S$118. Building on the success of the Fitbit Versa family of devices, Fitbit Versa Lite Edition is an everyday smartwatch with most of the core fitness and smart features Versa is known for. These include automatic activity, PurePulse® 24/7 heart rate and Sleep Stages tracking, 15+ goal-based exercise modes, connected GPS, smartphone notifications, apps, 4+ day battery life and relative SpO2 sensor. The wearables category continues to evolve and grow, with global shipments of wearable devices forecasted to reach 189 million units by 2022, up from 125 million units in 2018, according to IDC research. While growth is being driven by smartwatches, trackers are expected to remain an important part of the category overall. The sensor has the potential to estimate changes in blood oxygen levels and help track new health indicators about health, such as sleep apnea. It features a simple one-button, lightweight, swim proof design in new bold color choices for the young at heart. The Fitbit Inspire HR heart rate tracking device packs all-day automatic activity, exercise and Sleep Stages tracking, with 15+ goal-based exercise modes, connected GPS, and Relax guided breathing in a stylish, slim design. Reminders to Move and timer and stopwatch apps to help users stay on track. Both trackers have a new modern, comfortable and swim proof design with a touchscreen display, smartphone notifications, and up to 5 days of battery life for day to night wear. Fitbit Ace 2 helps kids at ages 6+ learn healthy habits at an early age and encourages them to spend more active time with family and friends. Ace 2 has a new swim proof design with a bumper to protect the screen during kid-related activities all day long, and is available in fun and bold kid-friendly colors and accessories that include patterned designs. Ace 2 debuts new animated clock faces, motivating challenges to keep kids moving, and colorful avatars and cover photos to personalise their profiles within the Fitbit app. Additionally, parents must create a Fitbit family account in order to set up Ace 2 with their child’s account which helps them stay on top of their kids’ activities. The Fitbit app will soon receive a major redesign, giving users more ways to personalise their health journey on Fitbit. The new design will make it easier to view and understand their health and fitness stats, log data, discover new content, see their progress in Challenges, and better connect with Fitbit’s large global health and fitness social community. Additionally, the Fitbit Community Feed is expanding this month to more than 80 new markets in nine languages to users across Asia, Europe and Latin America. A friendly and welcoming social network that provides support, accountability and motivation from friends and other like-minded individuals, this global expansion of the Fitbit Community will enable more users to fully unlock the value of the Fitbit platform. This entry was posted on Tuesday, March 19th, 2019 at 5:00 pm and is filed under Figures, Fitbit, Gadgets, gadgets, Healthcare, Launch, Press Release, Prices, smartwatches, Sports, Study. You can follow any responses to this entry through the RSS 2.0 feed. You can leave a response, or trackback from your own site.